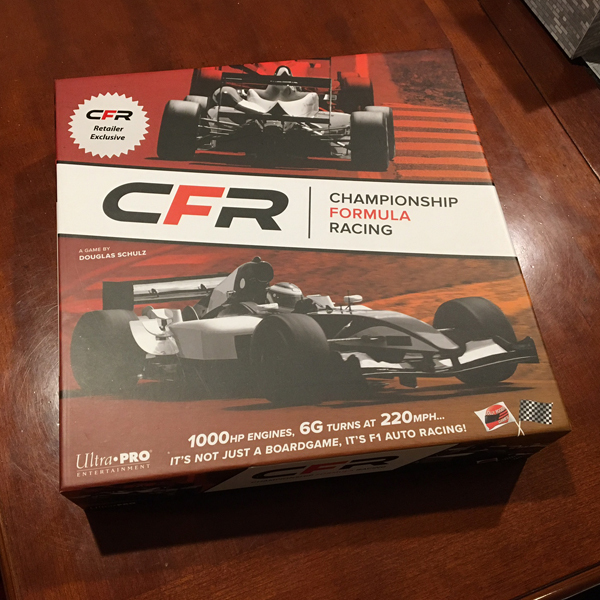 I’ve had a concerning item on my 6×6 challenge list for a while and wasn’t sure if it would even release with enough time to get in my six plays but I was finally able to pick up this interesting item: Championship Formula Racing. 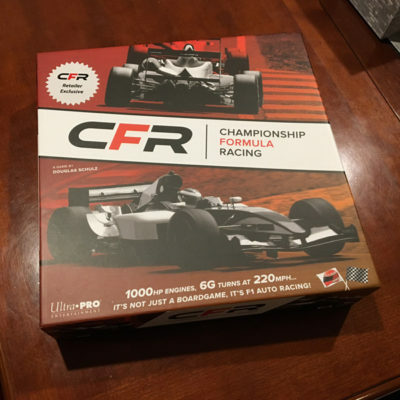 Championship Formula Racing (CFR), has been struggling to release and when it did release, its struggles continued. The game seems to have some unclear packaging where the game box lists contents that aren’t quite what is inside. 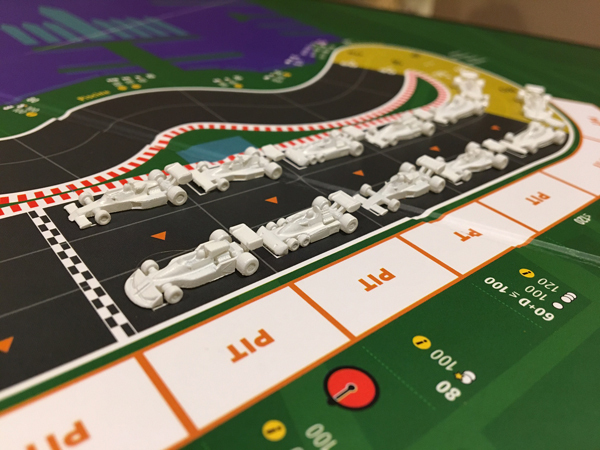 To try to avoid this mess, I picked up my copy from Cardhaus as they had a retail version of the Kickstarter campaign and was guaranteed to have the thing I was most excited about the game- automated drivers based on historical legends in the sport. 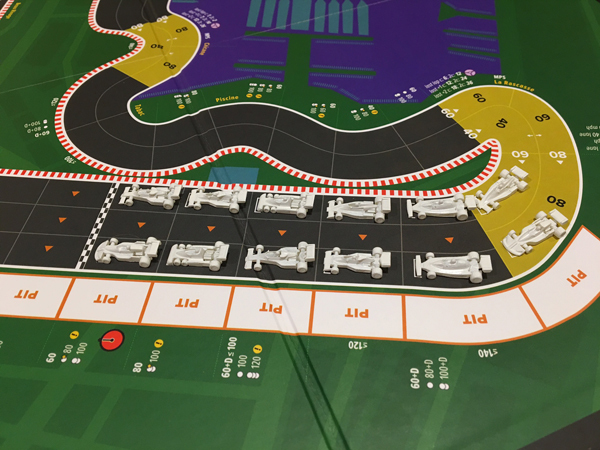 There was another issue as well where the car miniatures and the spaces on the race track aren’t in sync. 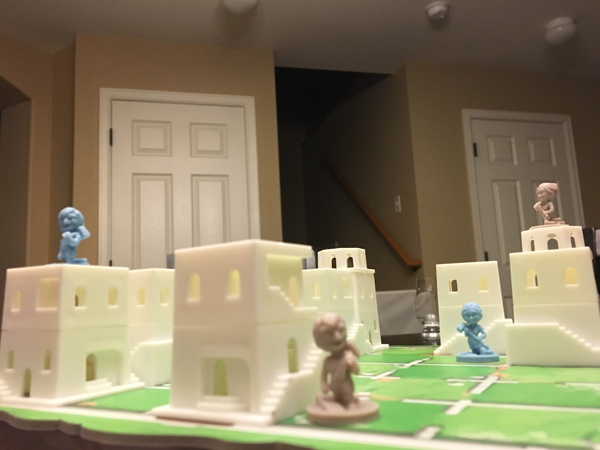 A lot of people on Boardgamegeek complained that the miniatures are too big but after seeing the game on my table, I contend that the track board spaces are too small. The publisher is already looking at ways to redo to the boards so the track spaces better fit the miniatures and I think that is the best call. It does, however, leave current owners in an awkward situation. 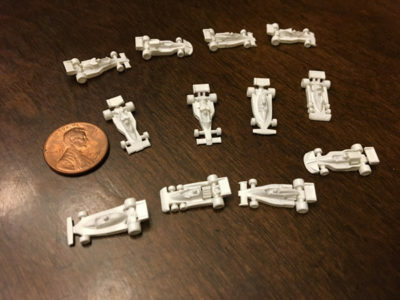 Luckily, I was anticipating replacing the cars anyway so I also picked up a great set of cars on Shapeways that will fit the small track spaces. These cars were printed in Ultra Detail and are pretty darn tiny but they fit the game boards perfectly. I’ll start painting them up and then it’ll be race time. The game looks like a lot of fun and I’ve already heard a lot of good things about the historical racer AI so I look forward to getting this thing on the table soon. Now it’ll be just finding time to paint up those little cars. 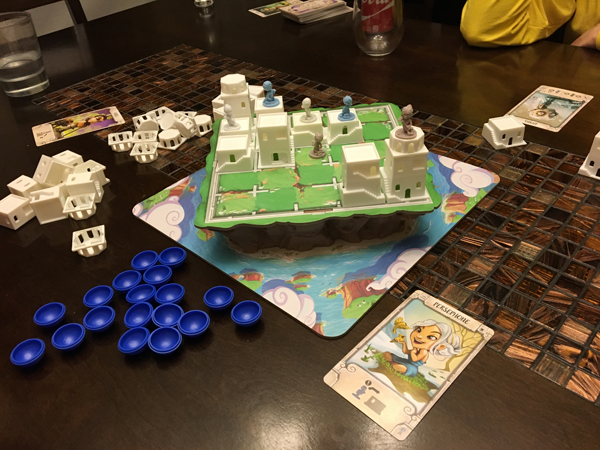 I also recently got in another session of Santorini. This time we tried out a couple of three player games. 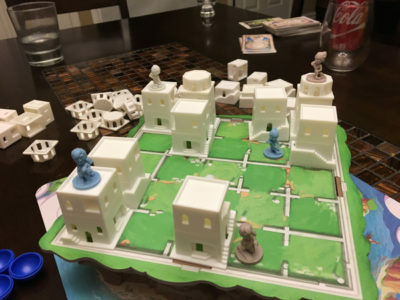 We started with a pretty wacky power set where one player (me) made it so if you could go up a level, you had to, another player said you could never descend, and the finally a player that made it so you couldn’t build adjacent to her player pawns. It was brutal as my opponents kept having to climb up and not descend and once they were cornered on their side of the board, my extra pawn was free to do whatever it wanted on the opposite corner. We scaled things back in the next game and went with three players without powers. 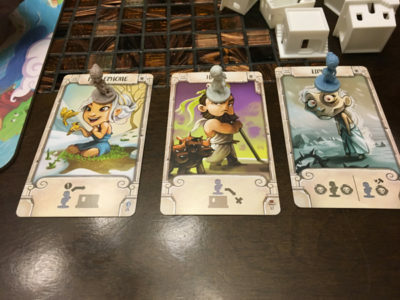 This game felt a little more in control but three players in an abstract game like this runs into some funny interactions where you force the next player to act, lest they let the next player win. I was able to get off to an open corner earlier than my opponents and after forcing them to try to stop each other, gained the positioning that led me to the top. Great board and components and fun to throw down and hash out some nice clean abstract gaming.